The story begins six or seven years ago. Eric and I were in our mid-thirties, and the mid-stream of our careers and our marriage. We lived in the Pacific Northwest, which I consider to be just about the most perfect place on earth, and we had meaningful jobs, good friends and overall, a good life. But at the same time, I was struggling with the sense that nothing felt real. I was running my own publishing consulting business, spinning my wheels and a slave to my four separate email accounts, multi-color-coded calendar and all of the blinking, beeping apps on my phone. I couldn’t get from my apartment to my car without checking in with social media. Yet at the end of a day or month or even a year, nothing I was doing felt real. Eric has his own story, but the short version is that he was in a similar boat. We needed to get off the digital merry go round. We needed an adventure, something epic and grand that we could look back a year or ten years later and know was real. I wanted to travel, but I wasn’t interested in being a tourist and just consuming more. I was drawn to the idea of something physical and outdoors that would force me to turn off all my gadgets and slow life down to a more human pace, but at the same time, I’m not a get-out-in-nature type. I think yoga is an extreme sport. I didn’t own a sleeping bag, which is the nice way of saying I don’t camp if I can help it. Eric has always talked about the hiking the Appalachian Trail someday. I’ve always told him to have fun. 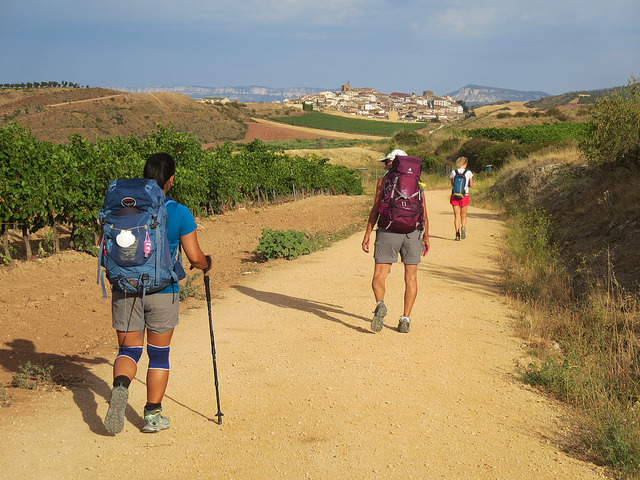 But when I discovered the long-distance trails of Europe, and specifically the Camino de Santiago, the Way of St James, I knew I had found my kind of real. It was a chance to be part of history. In a digital world that seems easy to delete, the way of Saint James has staying power. For almost a thousand years, this pilgrimage has drawn millions of people, from kings to criminals. The chance to sink into culture as well as mud caught my imagination, and the Camino didn’t disappoint. The richness (and sometime ridiculousness) of the stories and legends never stopped fascinating me. It was a chance to unplug. Walking a thousand-year-old trail doesn’t require technology. While there are plenty of Camino apps and social media tools that pilgrims can use, Eric and I made an intentional decision to turn off even our phones and be entirely present. (I’ve written about this here.) And, spoiler alert, nothing bad happened. The people at home were fine. They answered their own questions and solved their own problems. There’s a total simplicity to long distance walking that helped us engage in the slow travel lifestyle. There were stripes and arrows along the paths that told us where to go. There were printed guidebooks and friendly locals to fill in the gaps when we had questions. And without all of the distractions of a multi-tasked existence, I was forced to stop and engage with the smallest details around me. And yet (and this is really important for me), the Camino is a trail that does not require me to sleep in a tent or eat terrible food. I wanted to get out of my own broken routines and experience something real, and #optoutside, and “rough it” a little, but that didn’t mean I was willing to give up the basic necessities like beds, bathrooms, or espresso. For me, the Camino was the perfect mix of challenge and comfort. I spent 14 hours a day outdoors, relying only on my feet to carry me and my limited personal belongings. But I also could rely on a simple bed and shower every night. Clean water to drink at regular intervals. Coffee shops and bakeries and bars to sustain me, and even offer a bit of local fun. Of course, the Camino lived up to all of my boxes, and still filled me with surprises of things I’d never expect. But those are tales for other days. That’s my Camino origin story. What’s yours? 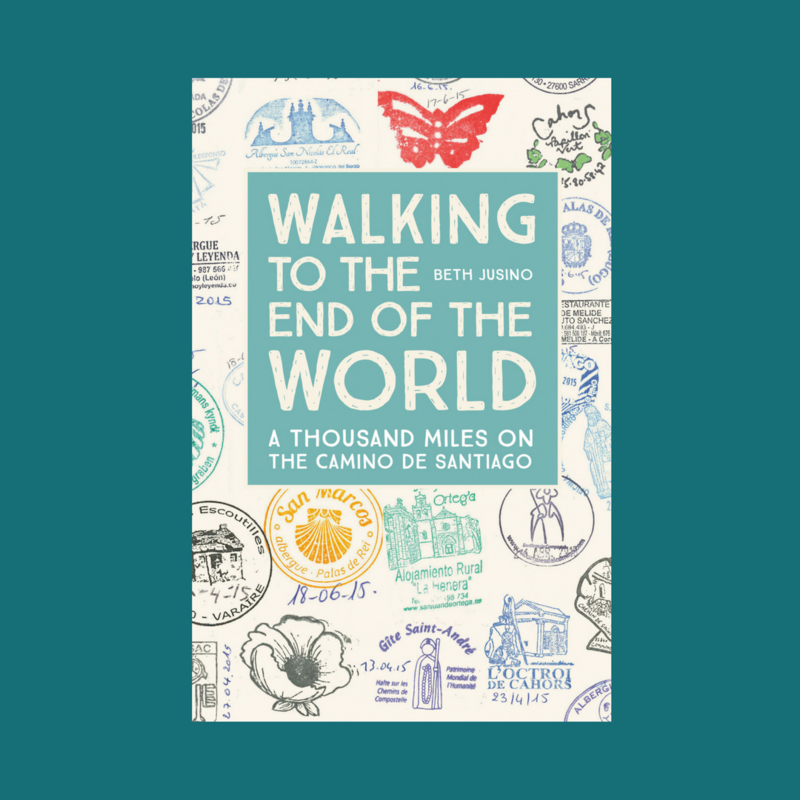 I knew about the Camino for a long time… but life did not allowed it to me for many years ( work, family, health issues) and then I was not sure how to experience it without too much anxiety. I joined a group with a guide ( actually two, husband and wife) . On foot in Spain. It was easier as we did not carry our bags but it gave us confidence to go back … we chose to walk in France ( easy for me as I speak French) and it would be not as busy as the Camino in Spain. anyway, I know that we you start walking you don’t want to stop… I keep in shape. My husband is as excited as me to go back in May. I have been writing on our experience in Spain ( 2015) on my blog Fun and Life . not sure you can trace it as I did not renew my WordPress account ( the blog was 96 % full). I have one in French called La Marche and it is where you can find all about our walking trips .